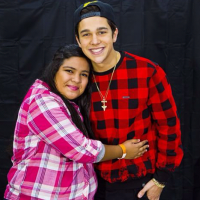 You are here: Home / News / Meet Austin in NY! Join singer, song writer Austin Mahone to celebrate Fossil's line of smartwatches, where cutting edge technology meets great desgin. Enjoy a Q&A Austin and Host Garrett from Z100. Plus, with a qualifying purchase of any Fossil watch beginning 11/3, receive the chance to meet and snap a photo with Austin!